Atmospheric Sciences | What is the biggest air pollution event in the modern era? EGU Blogs » Divisions » Atmospheric Sciences » What is the biggest air pollution event in the modern era? How does weather affect volcanoes? This is really scary about the deaths in Iceland! I had no idea that this could happen… Surely there could have been a way to predict the reaction the lungs would have to sulphur dioxide to give people time to prepare themselves. @ Trent Bowen: The deaths in Iceland after the Lakagígar eruption were mainly due to famine and infectious diseases, and NOT sulfur poisoning. It is not known what exactly these diseases were; it could be that people succumbed to normally harmless illnesses because of being weakened by hunger. Mortality in Iceland only increased in the winter 1783/84, i.e. 1/2 year after the onset of the eruption. 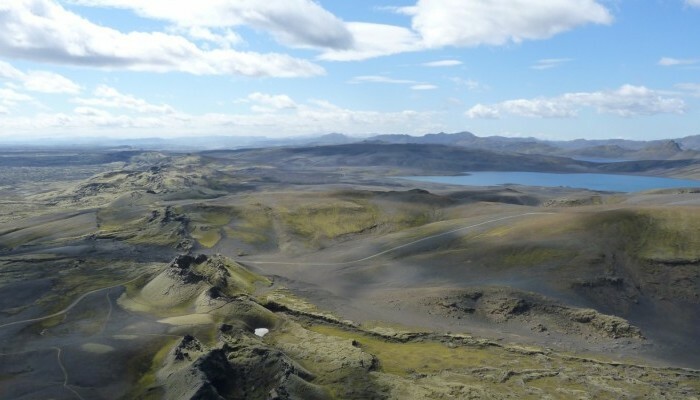 If sulfur poisoning had been a main cause for human mortality in Iceland, one would expect mortality to rise already during the eruption (similarly to the Great London Smog, where mortality jumped up during polluted days, although the decline in mortality rate lagged behind the decline in pollution). The people in Iceland did suffer considerable discomfort from sulfur emissions, such as irritate eyes and skin and difficult breathing, but did not massively die from this effect. People started dying when they had no food left. This makes it at least questionable whether indeed thousands of people died in Europe due to sulfuric haze in the summer 1783, as was suggested by Grattan et al. After all, the haze did not cause massive death in Iceland where the concentrations must have been higher, so why would the English and French die from it? Clive Oppenheimer suggests that the death in England and maybe France may have been caused by a fever epidemic, possibly related to the extreme summer heat which may have favoured disease-spreading mosquitoes. Finally, it is not so clear whether the Lakagígar eruption was the cause for the extreme summer heat in Europe in 1783. If the haze caused a “heat blanket” there, then how can it be explained that Iceland and also the Farøer experienced cold conditions, as Thordarson and Self (2003) point out? 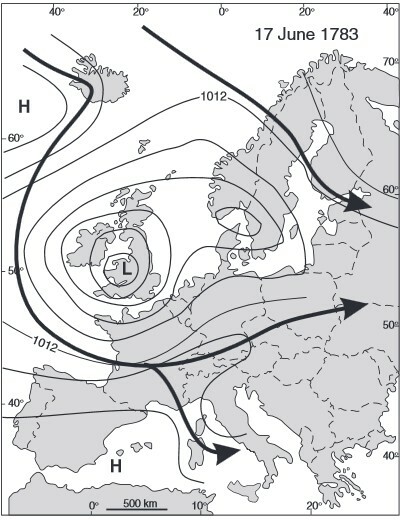 The same paper suggests that the heat may have been caused by a persistent high pressure area over Europe (maybe a bit like in 2003; see also the other weather map in Thordarson and Self, which is not reproduced in this blog article). A lot of aspects concerning the Lakagígar eruption are more subtle and more uncertain than one would first think. One should be careful with attributing all anomalies that happened during or shortly after 1783 to the volcanic activity. @ Trent Bowen: The deaths in Iceland in the 2 years after the Lakagígar eruption were mainly due to famine and infectious diseases, and NOT sulfur poisoning. It is not known what exactly these diseases were; it could be that people succumbed to normally harmless illnesses because of being weakened by hunger. A lot of aspects concerning the Lakagígar eruption are more subtle and more uncertain than one would first think. One should be careful with attributing all anomalies that happened during or shortly after 1783 to the volcanic activity. Still, it probably holds that a Lakagígar-like eruption, if it were to happen again, would have widespread effects beyond Iceland.